With child support payments set at 17% of one's income for one child, it doesn't take long out of the workforce to rack up tens of thousands of dollars in debt. Over $100 billion is owed in unpaid child support -- nearly half of that to taxpayers supporting children on public assistance. According to the federal Office of Child Support Enforcement, $108 billion in total back payments was owed to parents with custody of children in 2009. If those payments aren't made and the children then need to go on public assistance, payments are supposed to be made to the government in the form of reimbursement. 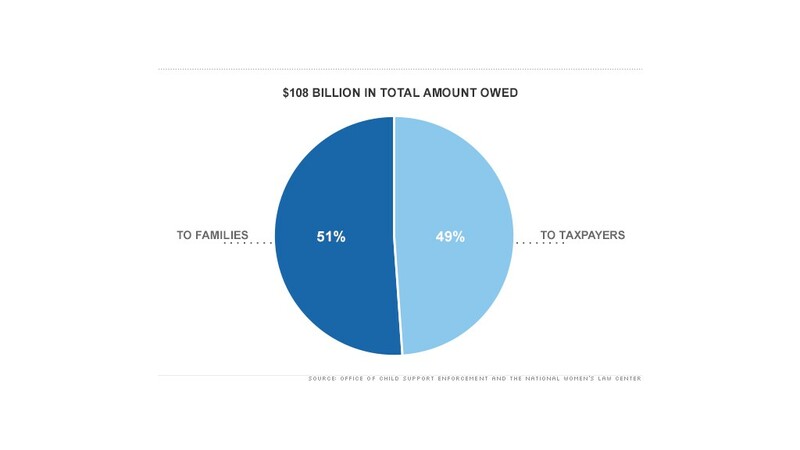 About 49% of that back money -- or roughly $53 billion -- is owed to the government, according to Joan Entmacher, vice president of family & economic security of the National Women's Law Center. That's a raw deal for taxpayers. But for the mothers owed -- 82% of custodial parents are women -- it's the severing of an economic lifeline. For poor mothers, child support payments represent 45% of their income, said Entmacher. Deadbeats are a big reason why 41% of households headed by single women are below the poverty level -- twice that for households headed by single men and nearly five times that for married couples. "This represents eye glasses, dentist visits," said Entmacher. 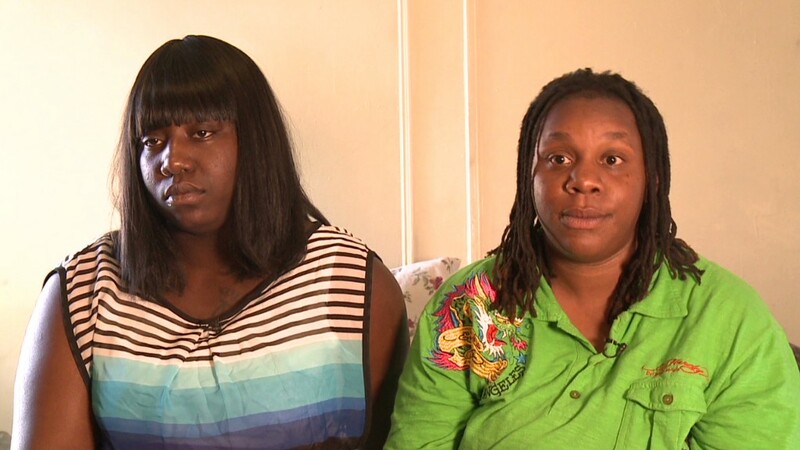 "For a mom trying to get it together, income stability is really important." Figuring out how to get deadbeats to pay up is another matter. It seems most of the problem is concentrated among a handful of bad actors. While only about 60% of the total money owed in child support each year gets paid, over 70% of families get at least something, according to Entmacher. It's at the bottom rung where most of the money is owed -- 11% of the debtors owe 54% of the money. The government has several ways to make people pay up: it can garnish paychecks, intercept tax refunds or revoke state-granted privileges like driving or hunting licenses. To get out of paying, deadbeats will often take work in the underground economy to shield their income. Family courts are rife with tales where men with off-the-books jobs cry poor mouth to the judge, only to drive away in a Mercedes. Experts say more personnel at agencies enforcing child support payments, as well as a more active role played by the custodial parent in reporting people working off the books, may chip away at that $100 billion. But there's also a sense that the courts have set unrealistically high child support orders and have been too inflexible when people genuinely lose their jobs and can't pay. For example, New York only recently modified its child support law to exempt payments (and interest charges) from people in prison. "It becomes so impossible and irrelevant, they stop participating in the system," said Liberty Aldrich, general counsel for the Center for Court Innovation. Still, experts urge caution when working toward reform. "It's ridiculous to have support orders against people in prison," said Caroline Kearney, a former family law coordinator at Legal Services NYC. "But I remember the bad old days, when courts would just look at how much income people had left over and ask them how much they could afford to pay."